Elon Musk's Warning Sparks Call For Regulating Artificial Intelligence : All Tech Considered Elon Musk is warning that artificial intelligence is a "fundamental existential risk for human civilization." Colorado Gov. 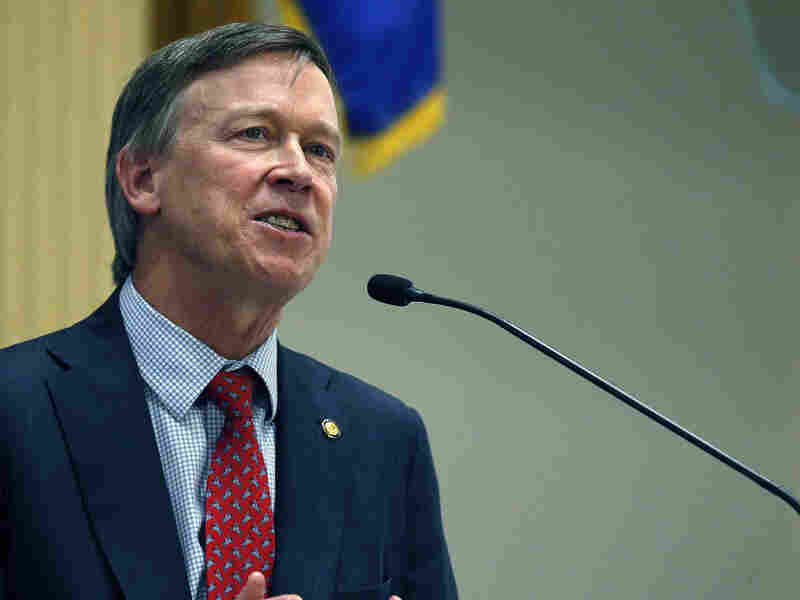 John Hickenlooper is looking into how states can respond. 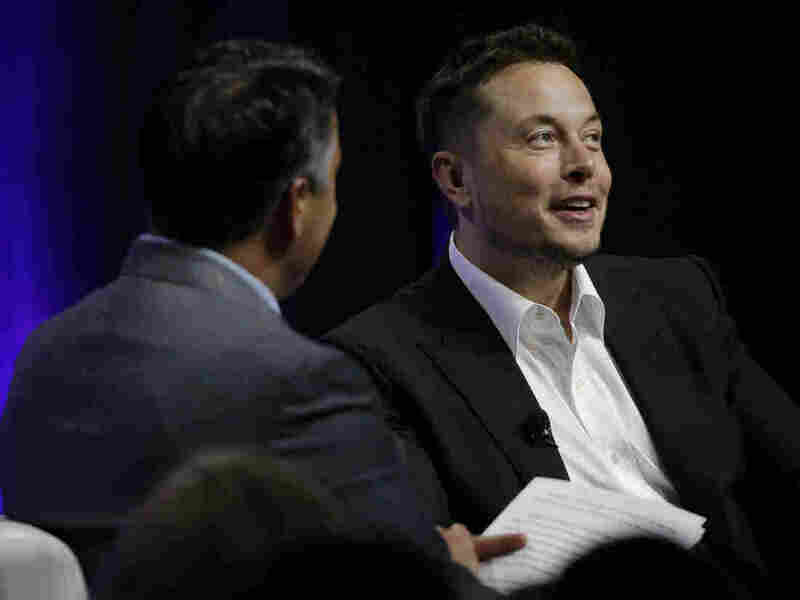 Artificial intelligence poses an existential risk to human civilization, Elon Musk (right) told the National Governors Association meeting Saturday in Providence, R.I.
Elon Musk is warning that artificial intelligence is a "fundamental existential risk for human civilization," and Colorado Gov. John Hickenlooper is looking into how states can respond. Musk, the Tesla and SpaceX CEO, made the remarks over the weekend at the National Governors Association meeting in Rhode Island. He has long warned of the threats he believes artificial intelligence will pose, from automation to apocalypse. Bill Gates, Stephen Hawking and others have also sounded warnings over AI. "Of all the things that I heard over this weekend with the National Governors Association, this was the one that I've spent more time thinking about," says Hickenlooper, a Democrat. Not everyone at the NGA meeting received Musk's comments as warmly as Hickenlooper. Republican Gov. Doug Ducey of Arizona told Musk: "As someone who's spent a lot of time in [my] administration trying to reduce and eliminate regulations, I was surprised by your suggestion to bring regulations before we know exactly what we're dealing with." Colorado Gov. John Hickenlooper suggests that governors need to work together on possible solutions to problems like the potential threats posed by artificial intelligence. Other Silicon Valley thinkers are skeptical of Musk's doomsday prophesying. Yann LeCun, the head of AI at Facebook, told NPR's Aarti Shahani that humans are projecting when we predict Terminator-style robot takeovers. He says the "desire to dominate socially is not correlated with intelligence"; it's correlated with testosterone, "which AI systems won't have." Hickenlooper spoke to NPR on Tuesday evening. Here are highlights from that interview. You could have heard a pin drop. A couple of times he paused and it was totally silent. I felt like — I think a lot of us felt like — we were in the presence of Alexander Graham Bell or Thomas Alva Edison ... because he looks at things in such a different perspective. Right now we worry about cybersecurity and issues like that, but when you really have artificial intelligence at a great level, the weaponry and the ability to shut down whole parts of our cities, the ability to create such damage by turning off the electricity, or making sure there's no water ... everyone was spellbound — I mean no one knew what to say. Usually what happens is something gets a little out of hand and then government begins to regulate. And [Musk] said, in this case, with artificial intelligence we need to get the regulations out well ahead of the problems appearing. Because it's going to happen so quickly that we need to have that anticipation and be working on it, because once you get to regulating something, everyone's got a self-interest, and it means taking away something from somebody who's already got it. The Future Of AI: Is Something Different This Time? Oftentimes, I think with the really difficult problems — and we're trying to do this with health care now — is to look at getting a number of state governors, both Republicans and Democrats, to come together around a specific issue and what the possible solutions are and have the governors work through possible solutions, because so often we're the ones where the solution gets implemented. Dave Blanchard is an editor with Morning Edition. You can follow him @blanchardd.